Use one of our many GPS options to fuel an Automatic Vehicle Location system that provides accurate and dependable data. With configurable GPS pings from 1-30 seconds, you are guaranteed to find a system that works for you. Connexionz AVL system can show the location of public service, fleet, marine, rail, and charter vehicles with simple clicks and many viewing options. Vehicles can be tracked on times or untimed routes or be shown an open map – providing an opportunity for use in many different industries. Management will receive instant alerts when emergency buttons have been initiated or when necessary performance measures have not been met. 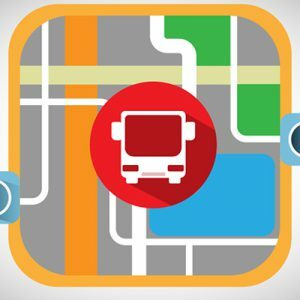 Although the Connexionz onboard kit is the standard for public transit, we can implement a broad range of devices onboard or even take a ping from an existing GPS system to fuel better data metrics. Connexionz can use a variety of options and providers to get the job done – putting your needs at the forefront of deployment plans.